I’ve been working with Jack for a year. At first I hired him to work with me 2 times a week to build muscle and bone density for health reasons. One thing that became very clear when I started working with Jack is how positive and kind he is while simultaneously pushing you to your maximum capability. The confidence boost it gave me to start seeing results so quickly motivated me to push myself further with bigger goals. This motivation started with a plan for strength and endurance building for a Tough Mudder event 3 months into the future. Our three day a week weight training coupled with a cardio and HIIT plan in-between sessions saw me lose 10 lbs in 3 months and by the time I joined the Tough Mudder it was actually too easy for me. After discussing different options for taking my training to the next level, Jack and I decided that a body building competition as a bikini competitor aligned well with my future goals. I entered a contact and we gave ourselves 14 weeks to prepare. Jack came up with a rigorous weight training routine that included super-sets, super-slow, full-body muscle building, diet plans, competition posing and weekly goal-setting (just to name a few). Within 14 weeks my body fat went from 21% to 10%, and I had almost perfect muscle continuity between my left and right side. I won a bronze trophy in my first body building competition ever (at age 41!). Jack is a trainer who has the ability to create any program to fit your needs, whether that’s maintenance for health, weight loss, high intensity events, body building or just about any other fitness goal you have for yourself. He uses positive motivation and a great deal of creativity to help you reach your maximum potential. I recommend Jack to all of my friends and family. To me, turning 55 is the beginning of a whole new chapter in my life…one that would include a total reinvention of myself. I’ve dealt with weight issues my entire adult life and finding the right trainer who would understand my health issues and special needs would be difficult. Jack is truly a rare find! Not only is he technically qualified, but he really cares about the people he works with and makes you feel like a winner. He is right beside you all the way cheering you on and is going to be there when you cross the finish line. I lost over 135 pounds in a year and now feel fantastic. 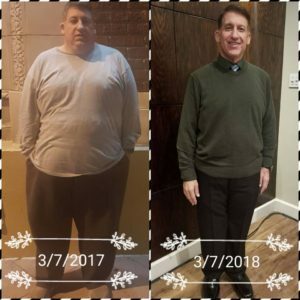 My journey continues, and thanks to Jack…I know I’ll never look back…and for those of you 50 plusers…you CAN do it too!!! I’m an active senior who has benefited so much from Jack’s health and fitness programs. I’ve lost almost 50 pounds and I am feeling great, just like a new woman! Jack’s exercises are perfect for my body and my age, and I’ve been able to be more socially active now by going on Jack’s local day group hikes, and his international active vacations that he organizes. Jack is more than a fitness coach, he’s a health and wellness motivator and somebody that I consider almost like a family member.